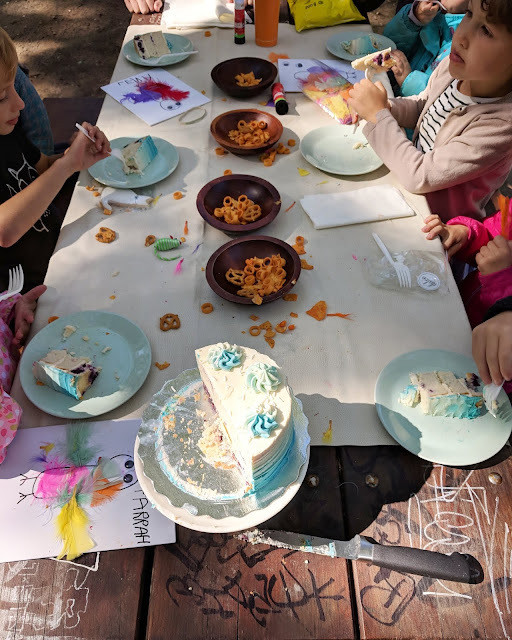 Our Nest in the City: Chloé's 5th Birthday Party! Last week we celebrated Clover's fifth birthday with a party in the park! It was her first birthday party with friends (we've always just stuck with inviting family until now) and a big step for her as she's only been in school a few weeks and doesn't speak the same language as any of the girls she invited! Clover is fiercely independent and we had to nudge her in the direction of inviting friends from school, but once she committed to it she was very brave. 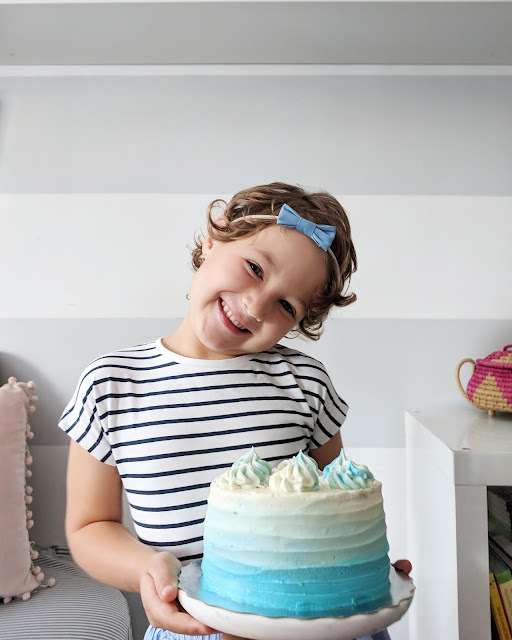 She is such a bold girl but also loves her alone time and certainly isn't the kind of kid who leans heavily on the approval of others, which is awesome, but we still want to lead her to love others and step out in French too. She's come so far in French already after less than a month at all-French school! I can't tell you how sweet it was seeing her welcome her classmates to her party and hearing her chat with them. We strategically chose 1-3pm for the party to keep things simple (after lunch and before supper means no meal would be served!) I was thrilled to collaborate with Gateaux Dulce for Chloé's birthday cake. I usually hit a baking wall in birthday season (our family has four birthdays within eight weeks in the early Autumn). 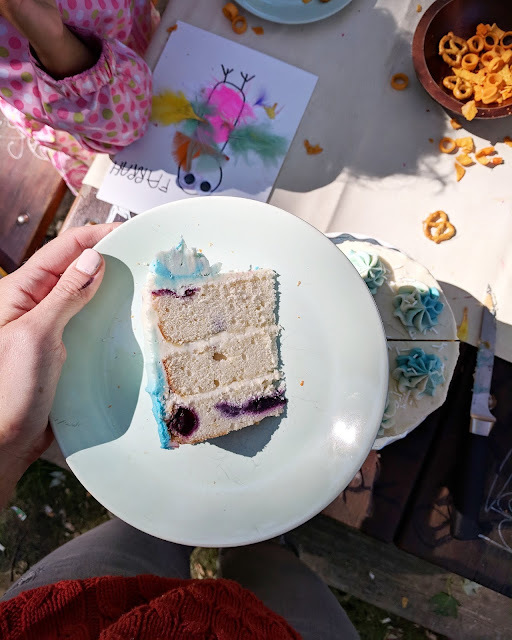 Last year it was for Oli's, and I wrote about how to make store bought birthday cakes and icing taste more home made, but I'll be honest, though the result was much improved upon, no one voted Oli's cake for best cake of the season! 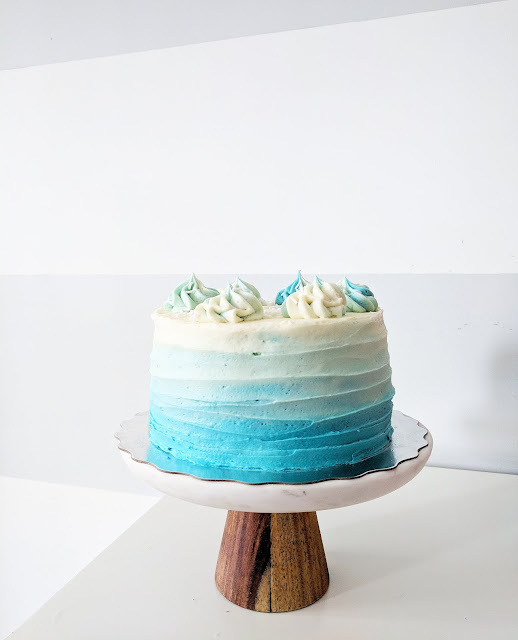 This year I asked Gateaux Dulce to make Chloé's blue ombré cake dreams come true and she did not disappoint! If you're in urban Montreal I can't recommend Karen enough - she also made little cat cookies for us to give away as favours and they were so delicious (maybe even yummier than the cake if that were possible). 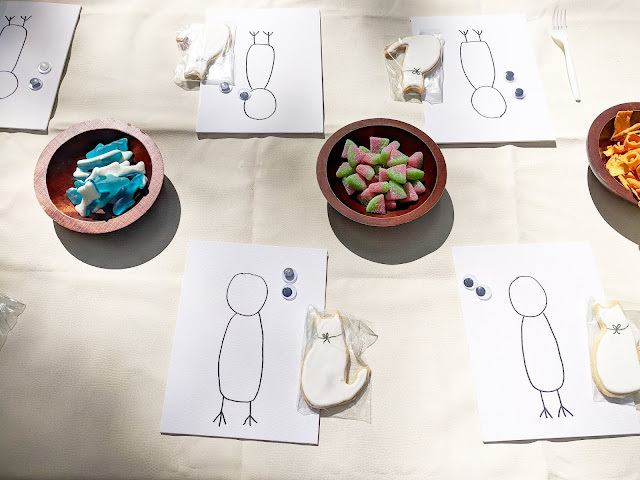 We had some chips and candy for the table during the crafts time, but I forgot water bottles which would be been helpful! We were all pretty thirsty after all those sweets and salty treats. Thankfully one of the moms offered to run to the store for me (thanks Lisa!). 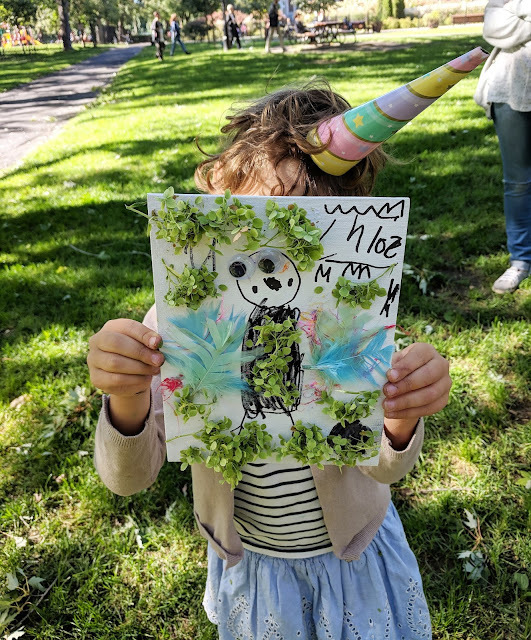 The kids all made a little owl/bird/penguin with a few Dollarama supplies and even took some fallen flowers for their masterpieces! I can't believe our youngest is in school and having birthday parties with her classmates! Kindergarten is one of the hardest years for our kids as we speak only English at home and they're thrown into 100% French at the same time that they're away from home for the first time. I know it's overwhelming and overstimulating and exhausting but by the end of the year they're bilingual and what parent wouldn't want that for their kids? It's all about the long term perspective right now and helping our girl face her fears and the uncomfortable for long term gain. This party was another step towards that end and we're so proud of her for taking it! Do your kiddos attend classmates birthday parties as well now? I remember in the past how you shared that often you would pass on birthday invites in order to build/protect your family time. But I've noticed recently that your kiddos are inviting others, so perhaps your views have changed. Would be curious to read a post about the shifting of your thoughts on that if your kids are attending friends' birthday parties now!